The European Union Transparency Directive, (“TD”) only required major shareholders to perform two checks: one in relation to the holding of shares (the “shares bucket”, Articles 9 and 10 of the TD) and one in relation to the holding of financial instruments (the “financial instruments bucket”, Article 13 of the TD). It did not include an explicit requirement to perform a check on the aggregate of the two across all member states. For example, Germany and Spain required aggregation of shares and financial instruments, while some other member states did not. This inconsistency among member states was a complaint of the Directive. Consequently, it was felt that a more harmonious approach was required across all Member States. On 26th November 2015, the Transparency Directive Amending Directive (“TDA”) came into force. The TDA made it clear that checking an aggregate of one’s holding of shares and financial instruments was no longer an optional gold plating, such as in Spain and Germany, but a requirement across all Member States. This is known as the principle of horizontal aggregation: aggregating the different categories of holdings as per Articles 9, 10 and 13 of the TDA. The TDA also clarified that a breakdown was required in relation to “financial instruments” when making a disclosure, specifically outlining whether they were related to direct holdings, or indirect holdings of financial instruments with the “same economic effect” as a direct holding of shares. In other words, under the TDA, major shareholders must disclose whether or not their financial instrument confers a right to physical or cash settlement. If the shares represented have voting rights, they must be aggregated with the direct holdings in shares. Subsequently, the European Securities and Market Authority (ESMA), a body set up to coordinate and supervise regulation of the financial market in Europe, issued an “Indicative List” of “financial instruments” that are subject to the notification requirements under Article 13(b) of the TDA. 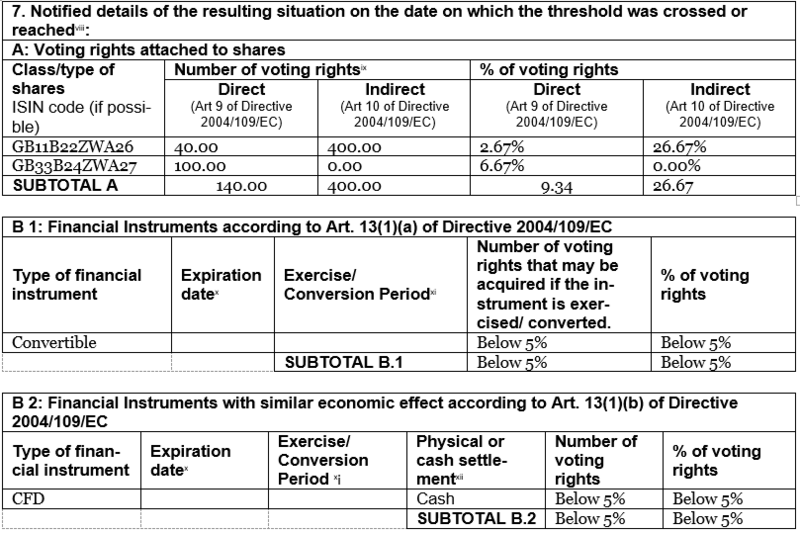 In addition, ESMA also introduced a standard form which reflected the requirement to include a breakdown of the voting rights attached to shares that were held directly and indirectly, and whether the type of financial instruments held were “financial instruments” according to Article 13(1)(a), or those with similar economic effect” according to Article 13(b) of the TDA. The standardization of this previously optional gold-plating means that holders are required to undertake additional processes when monitoring and compiling the disclosure of their holdings, resulting in a greater workload to maintain compliance. An aggregate of the ‘Shares bucket’ and the ‘Financial Instruments bucket’. In short, once a disclosure is triggered on either bucket (i) or bucket (ii) independently, or both ( bucket (iii)), our system triggers an alert on the aggregate rule (bucket (iii)) to enable users to easily see in one place which ‘bucket’ moved across a threshold and consequently where the disclosure is required. This means that for each and every individual jurisdiction covered by the TDA, we have created a set of three rules that each represent the ‘buckets’ of disclosable assets. 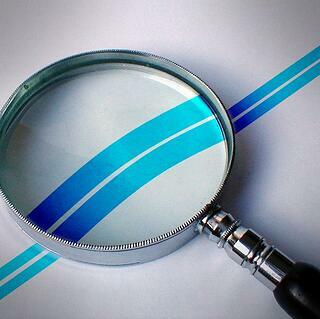 These rules work in conjunction with each other, and aggregate to disclose on a single rule. The holding in home issuers based in relation to the applicable limits in the Netherlands to the holding of nominal share capital. That’s a total of twelve rules monitoring just the TDA requirements in the Netherlands! Finally, we sought to tackle the practical challenges of filing a disclosure presented by these requirements. For example, in order to populate and automate the standard ESMA form that our clients use, we have been carrying out extensive analysis to determine what falls in the “financial instruments” bucket versus the “financial instruments with similar economic effect” bucket by using the information provided by ESMA such as the “Indicative list” alongside the regulations themselves. For example, this means that we can code for what should appear in the “financial instruments” versus those with “similar economic effect” fields of the form. This functionality will enable users to automatically generate the form from our rules, helping to make the disclosure process even easier. A table illustrating the way the forms would be populated. With everything fully automated, we simplify complex, tricky and time consuming regulatory requirements for holders under the regime imposed by the TDA. For further information on how FundApps can make compliance simple for your company, visit our Shareholding Disclosure page, or Book A Demo to find out more.